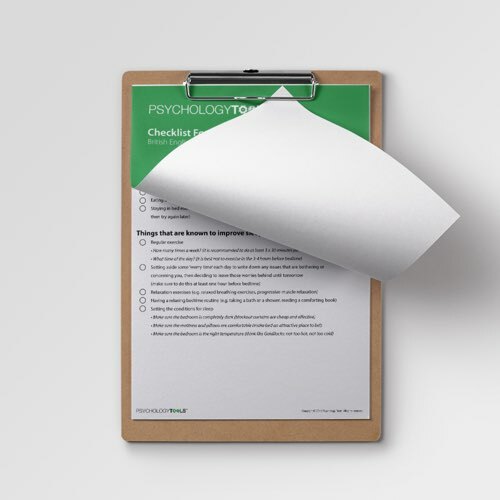 Some sleep experts recommend that sleep hygeine issues be attended to as one component of treatment for poor sleep. 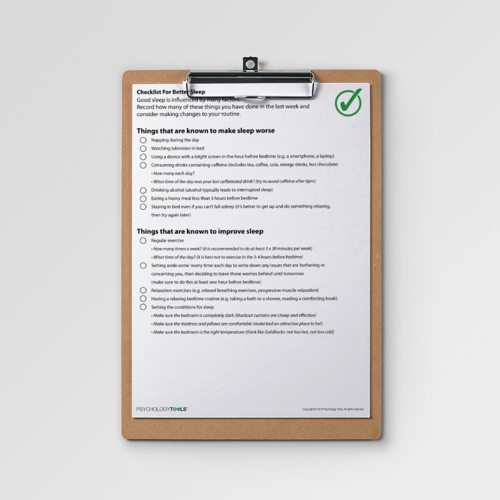 This sleep hygiene worksheet is in a checklist format and allows clients to assess how well they are setting the conditions for a good night of sleep. 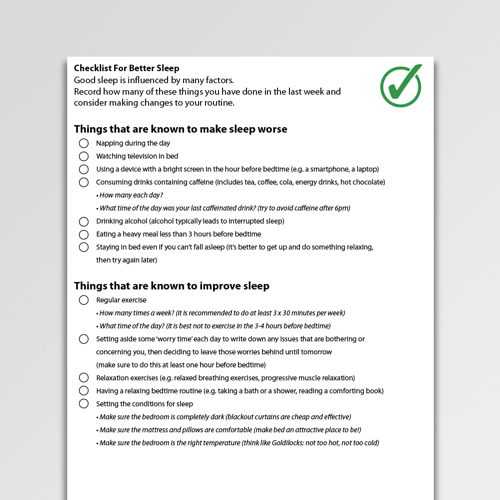 This worksheet includes a tick-box approach for clients to assess how well they are setting the conditions for sleep. 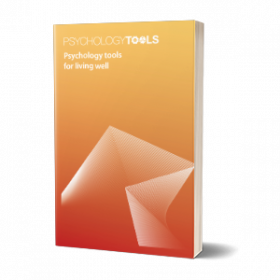 It can be used as a self-assessment tool for clients, or as a discussion point in therapy. 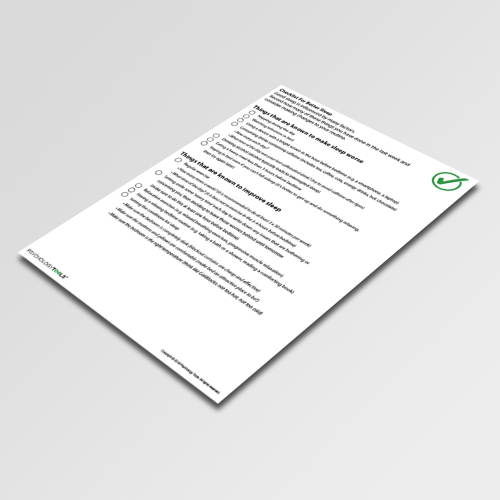 This worksheets covers essential points of good sleep hygeine including diet, exercise, and sleep habits.